Drones are poised to change our lives. They offer great innovation opportunities and significant job growth. Some say it is now as it was in the early days of the Internet. 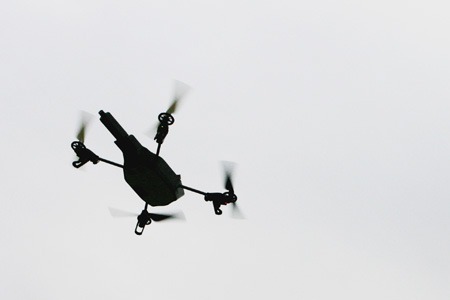 Just as the Internet brought privacy and security issues, so do drones. Drones grounded firefighting planes in California, caused concern for numerous pilots seeing them at major airports, and delivered drugs, weapons and cell phones inside prisons. The FAA expects sales to grow from 2.5 million drones in 2016 to 7 million in 2020—a 180% increase and an astounding total of over 20 million drones. Permanent “no-fly” zones help mitigate the risk of annoying or dangerous incidents, but they do not support a dynamic environment where certain drones should be allowed to fly or where drones should be blocked temporarily. Kids with new toys will not read manuals or check websites before they run outside and start flying. And nosy neighbors with flying cameras may find it hard to resist peeping in where they should not. To view the location and details of drone incidents covered by the media, click the map below.